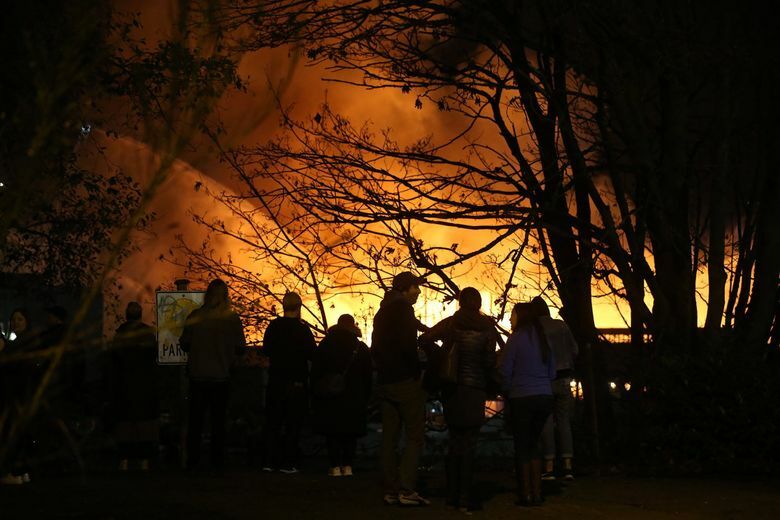 The Seattle Fire Department sent out an emergency alert within a half-mile radius of the blaze telling residents to close their windows and doors to avoid smoke inhalation. 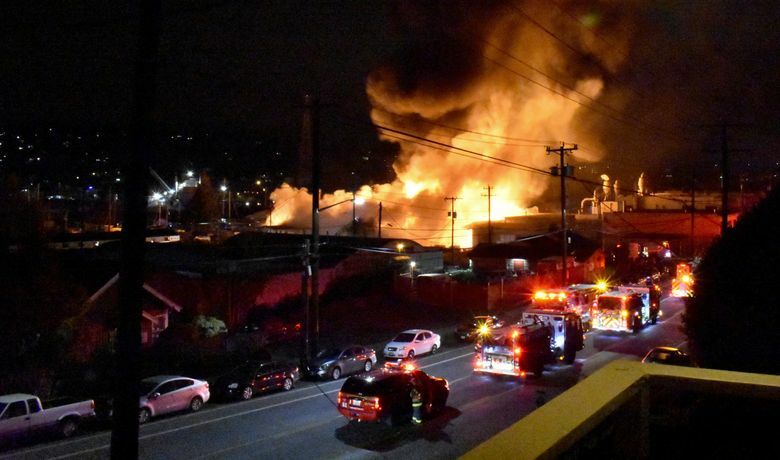 An intense fire that began in a lumberyard warehouse on the south side of the Ship Canal near Seattle Pacific University on Saturday night had engulfed five buildings by 9:30 p.m.
One building, near Sixth Avenue West and West Ewing Street, had collapsed, according to the Seattle Fire Department. 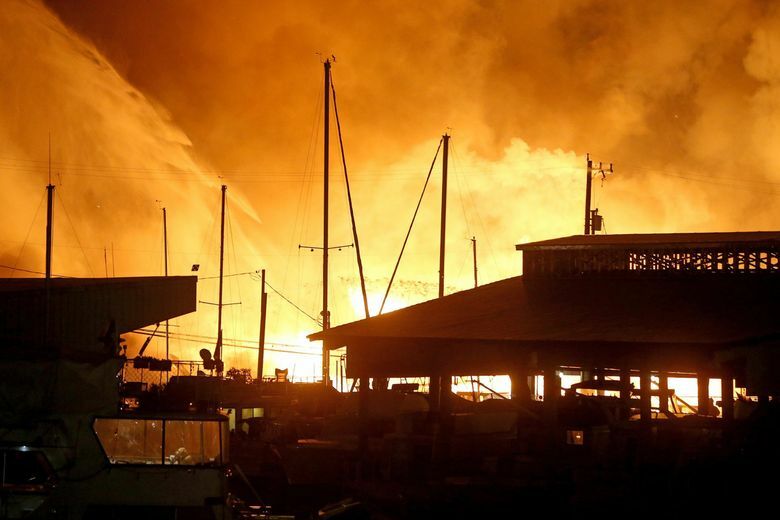 Department spokeswoman Kristin Tinsley said the affected buildings belong to Northwest Millwork and Gascoigne Lumber. Northwest Millwork produces custom architectural woodwork for public areas and guest rooms of hotels. Gascoigne is a wholesale lumber company established in 1926. 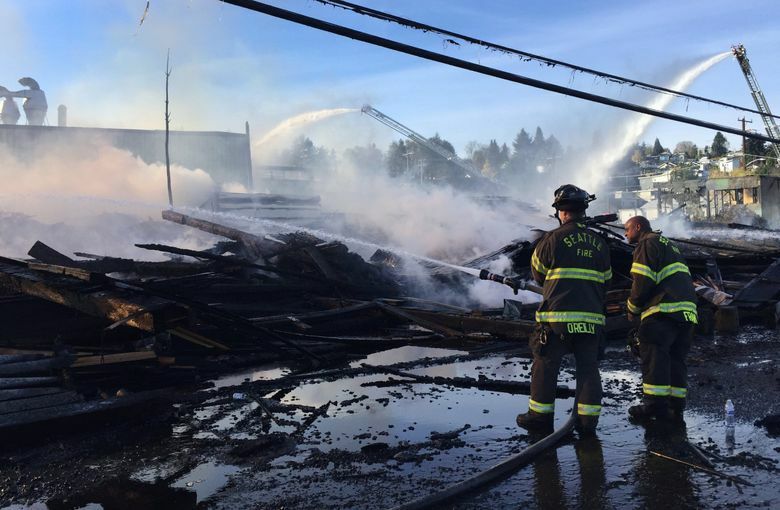 The Fire Department said the owner of Gascoigne confirmed that his buildings contained primarily lumber. Tinsley said at 10:25 p.m. that much of the fire was under control but that one building was still ablaze. 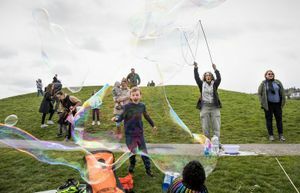 The Fire Department sent out an emergency alert within a half-mile radius of the fire telling residents to close their windows and doors to avoid smoke inhalation. 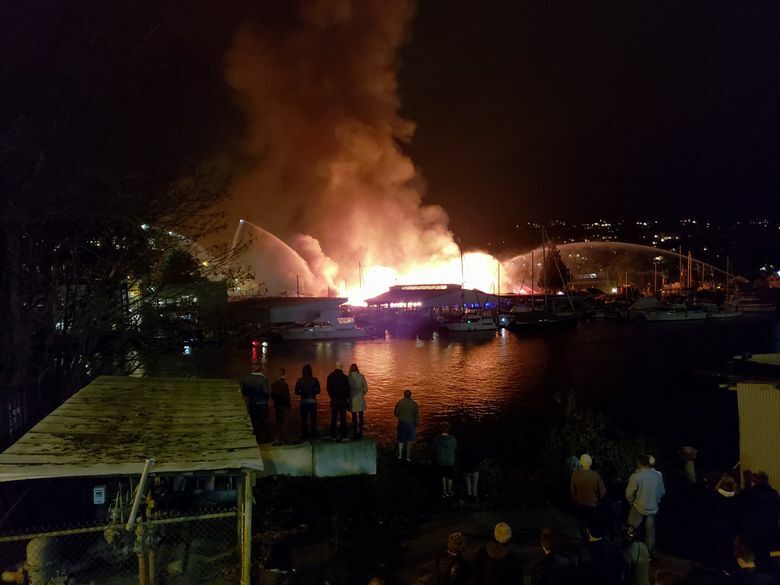 Tinsley said the Fire Department, in addition to sending multiple fire engines, sent fire boats to the incident along the canal. 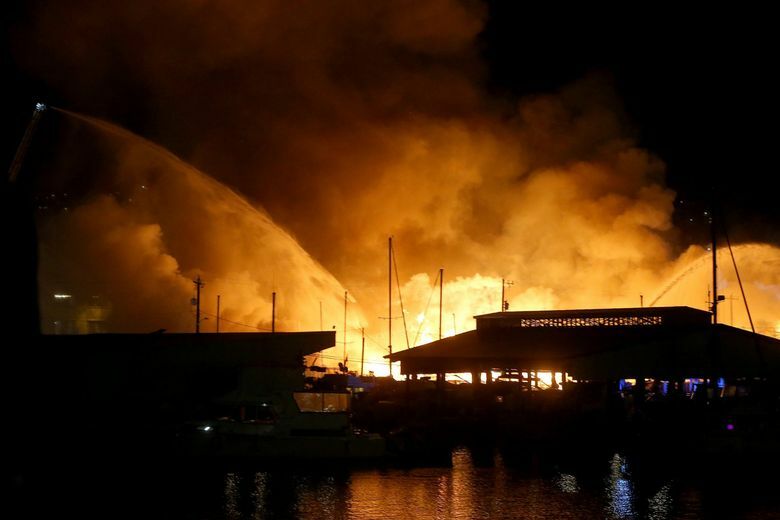 Fremont resident Ryan Denby, watching the fire from across the canal, said a couple of boat owners used Zodiac rafts to reach the adjacent marina and retrieve their boats from the dock. The fire knocked out power in the neighborhood, according to Seattle City Light.